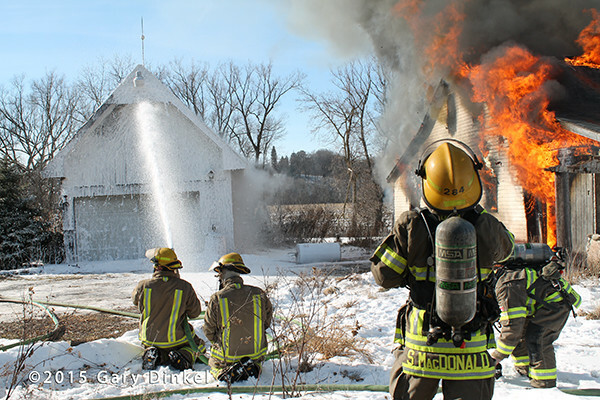 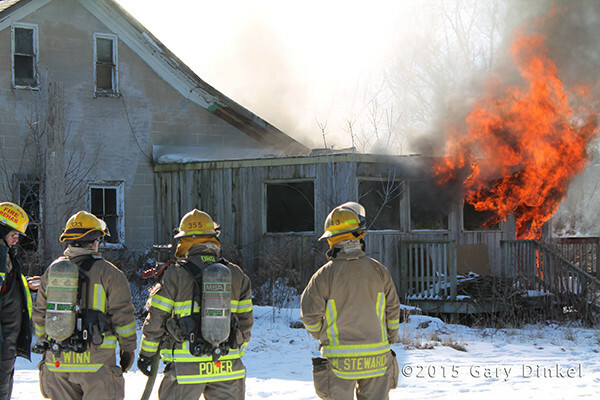 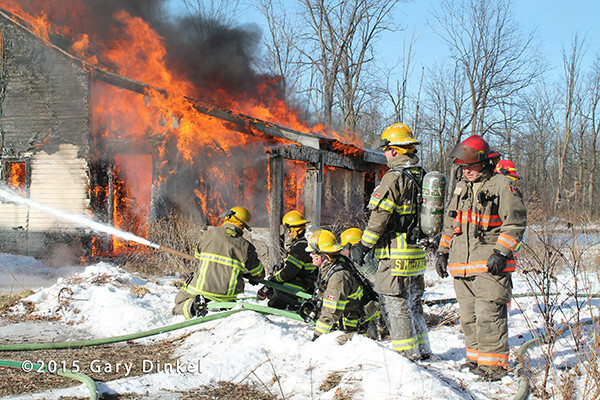 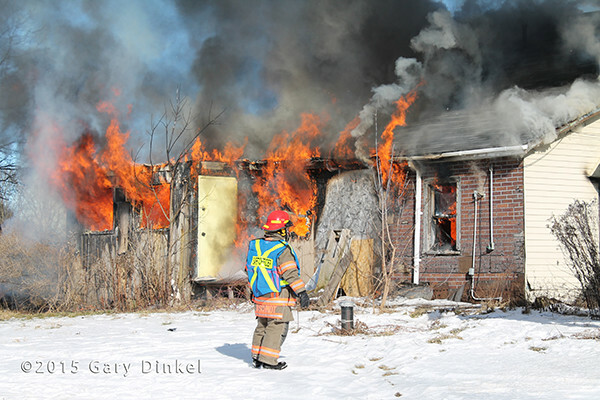 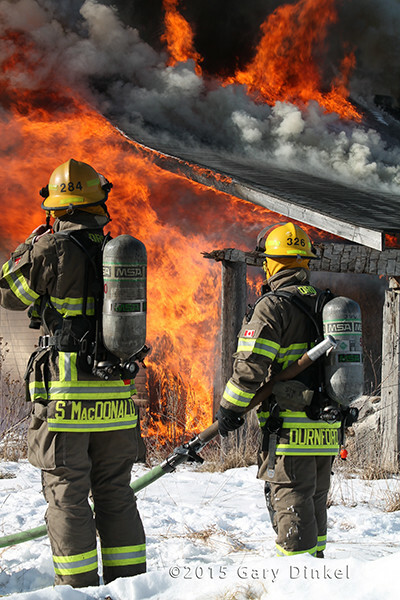 Cambridge Ontario firefighters had a live burn on January 28, 2015. 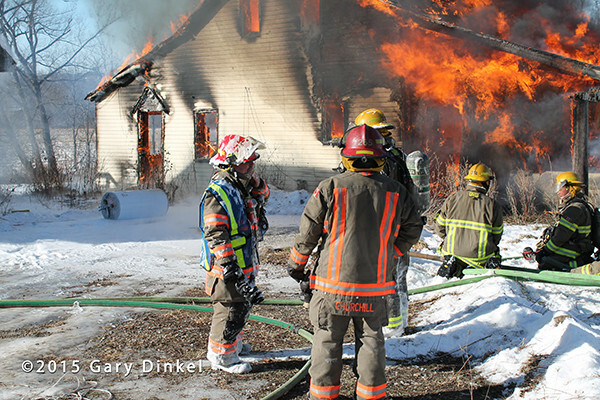 Fifteen firefighters were on scene at an older one and a half story home in a rural section of the city. 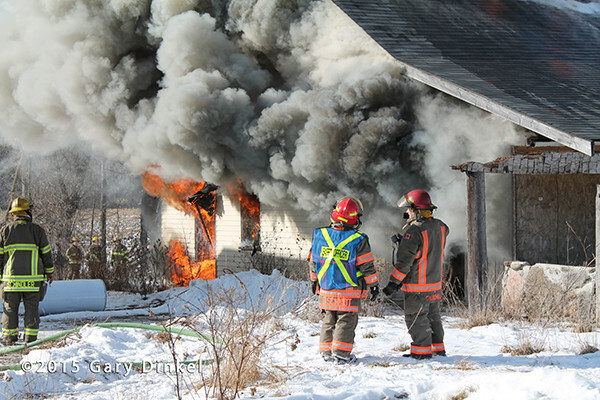 Three separate fires were set in the house to train on suppression and positive pressure ventilation. 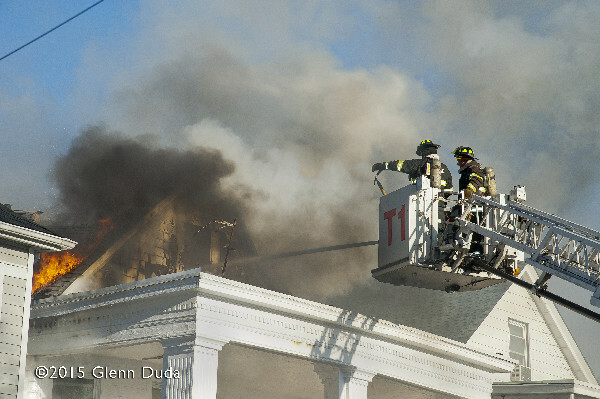 The house was burned down later in the day. 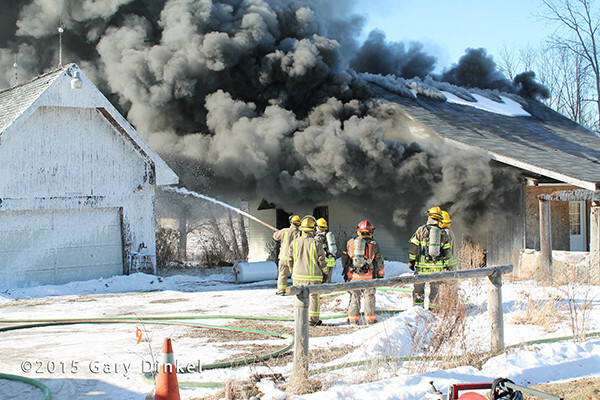 The owner of the property wanted the small garage so firefighters foamed the building to keep it from igniting. 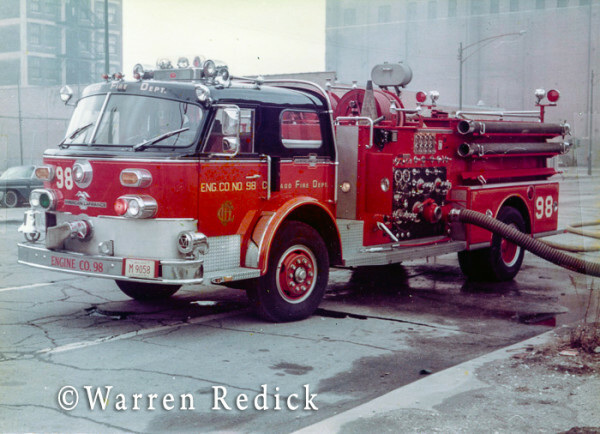 I returned from Arkansas with a lot of my dad’s collection. 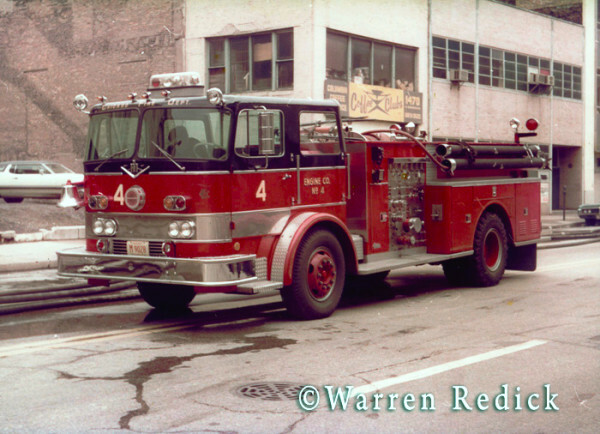 One of the things he had displayed on his wall was a series of 3 x 5 color prints from a 5-11 he and I were at in 1974. 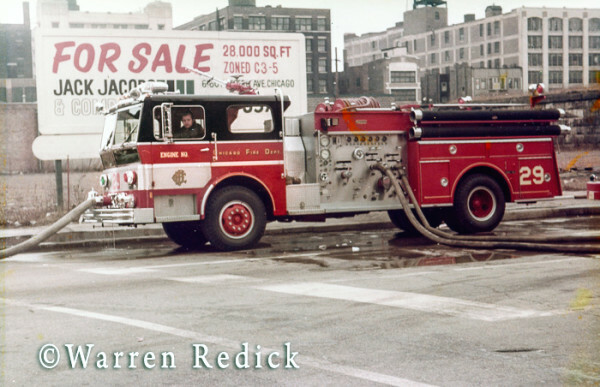 This was a cold storage warehouse and I recall it burned for days. 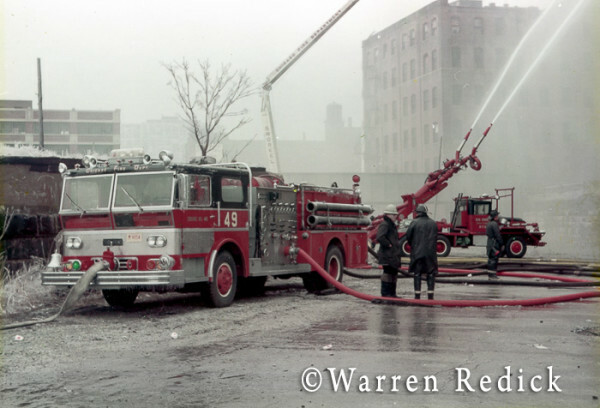 I also remember at some point the building collapsed onto an adjacent structure causing the transmission of another extra alarm. 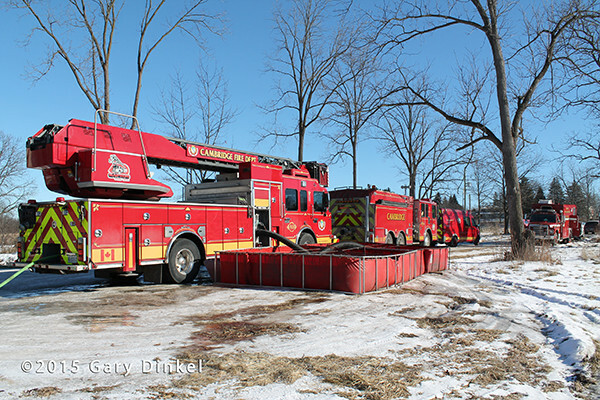 We took it in well after the initial alarm and toured the fireground getting these shots of some classic rigs in action. 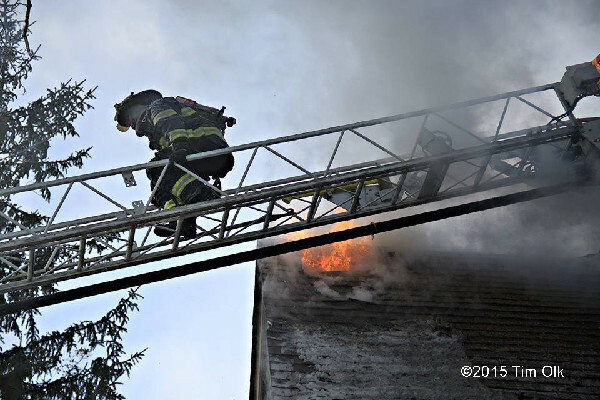 The image with Big John in the background is probably one of the few images you will see with both guns working. 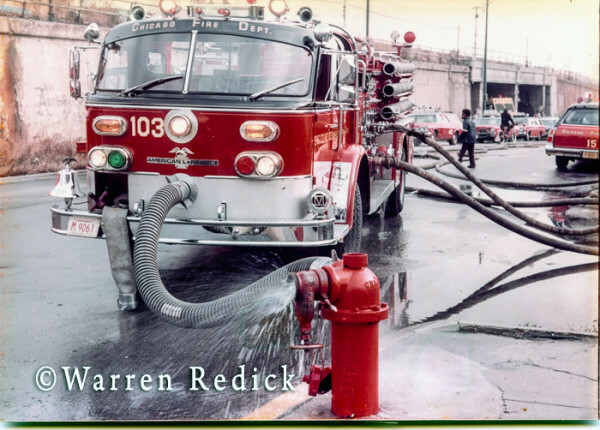 Most times they couldn’t muster up the water supply to use both. 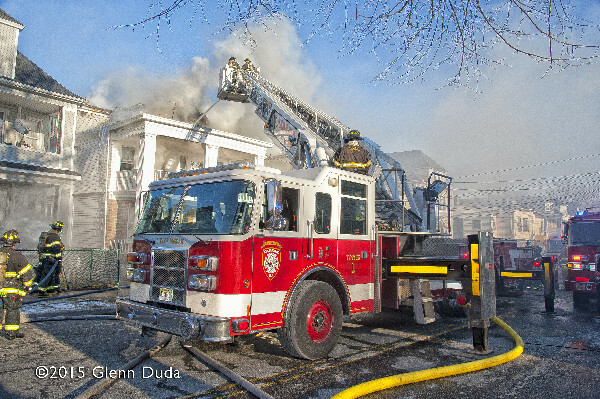 Also note the 2000-GPM LaFrances often used both ports on the hydrant. 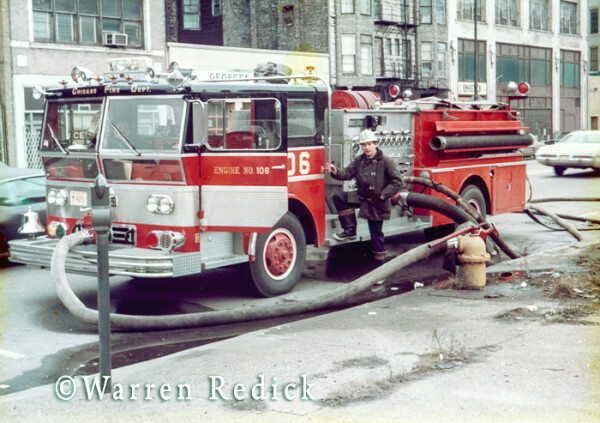 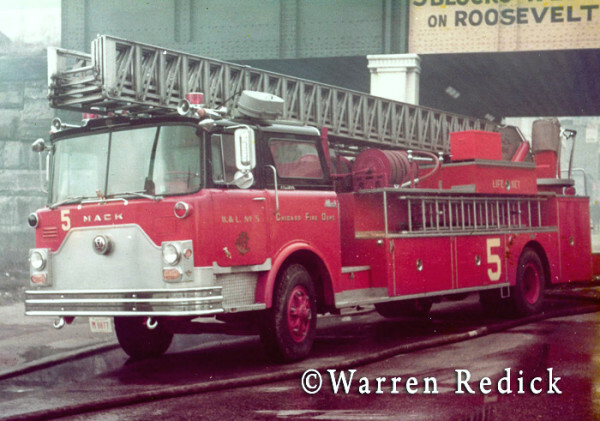 They had an order that no other pumper was to share a hydrant with a 2,000-gallon rig, thus giving them the ability to use both steamer ports. 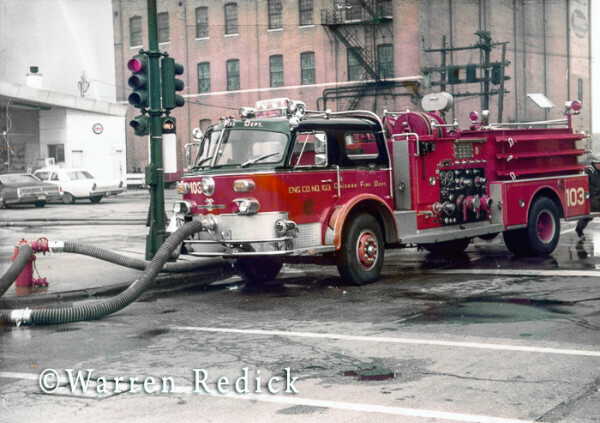 These photos were in horrendous condition … colors way off and faded. 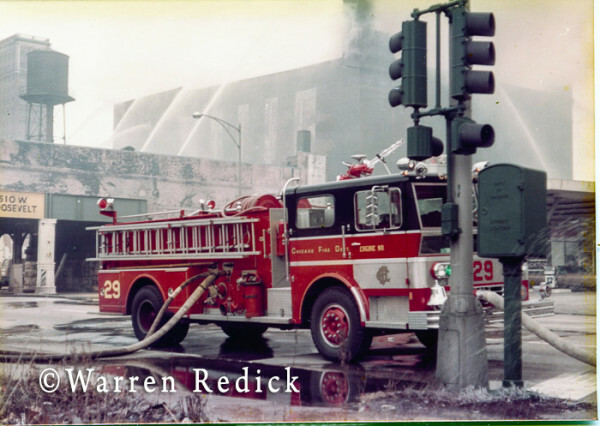 I was surprised at how much of the damaged images I was able to restore. 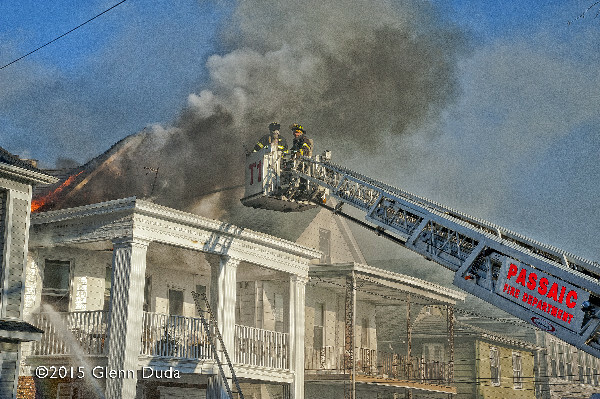 They are far from perfect but at least they are now useable. 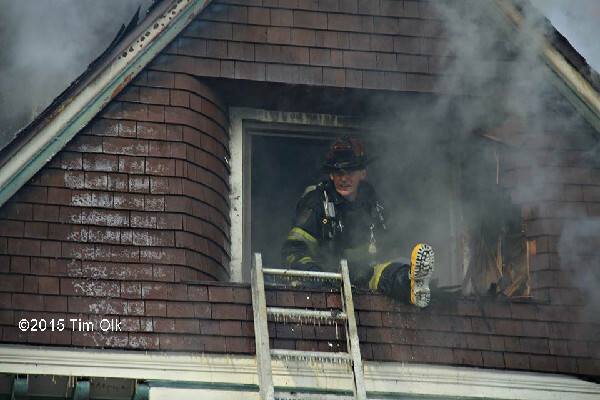 I bet if I made them B&W they would be near perfect. 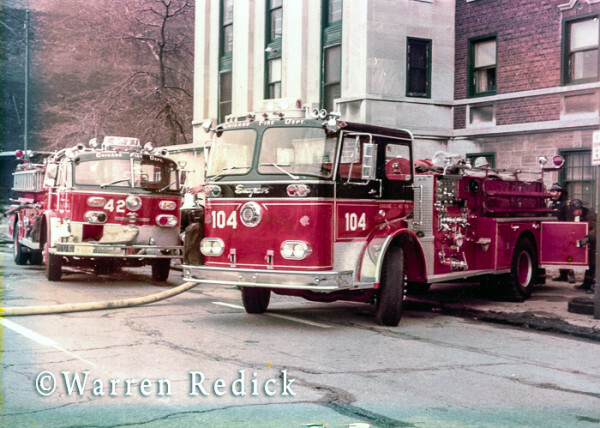 Enjoy the history. 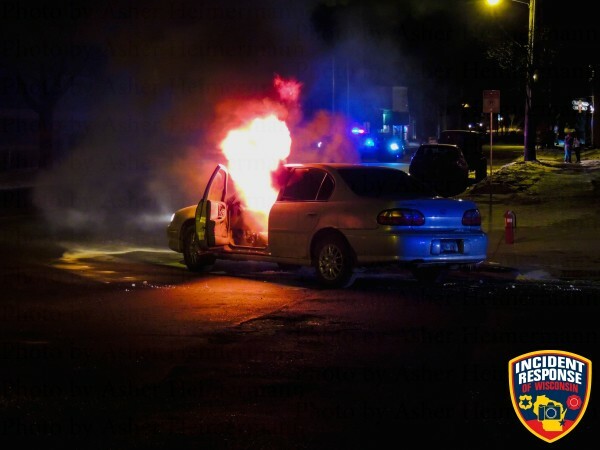 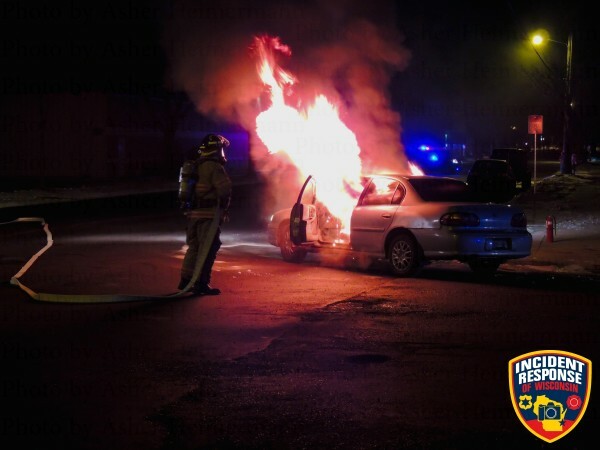 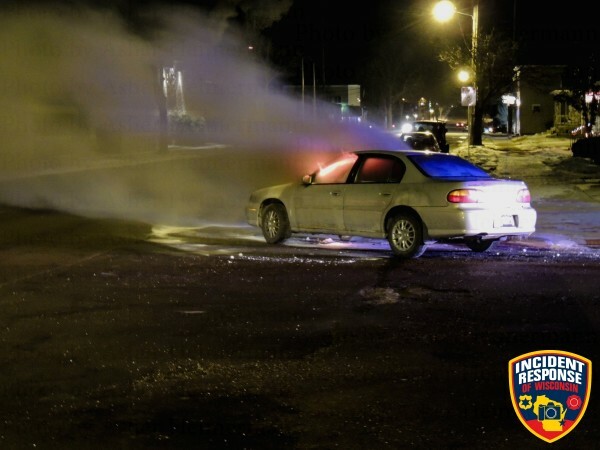 Sheboygan, Wisconsin firefighters extinguished a vehicle fire on Tuesday, January 27th on the city’s south side near the Sheboygan Paper Box Company. 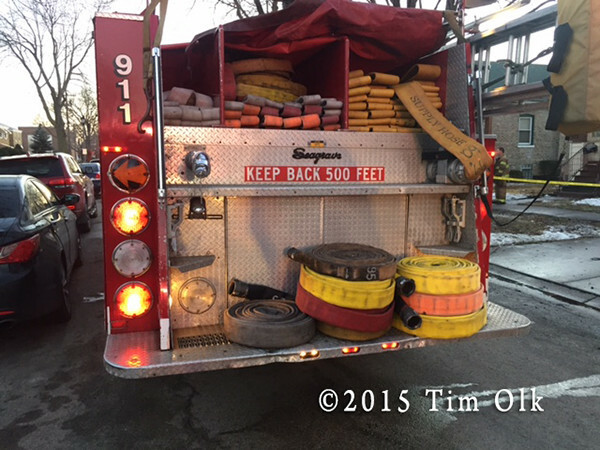 Engine 1, Rescue 3, Med 3, Battalion Chief responded to the scene. 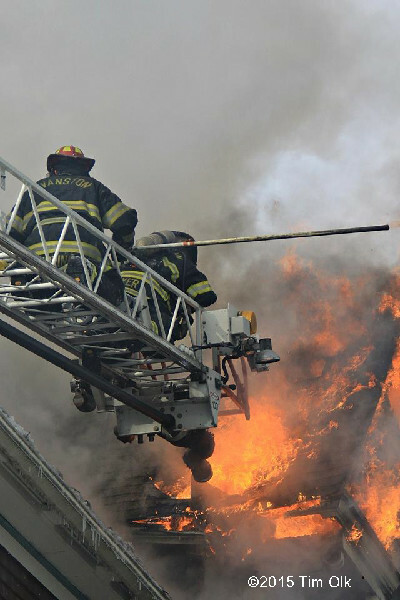 The fire occurred at the time when a communications tower failed, causing radio problems for the police and fire departments. 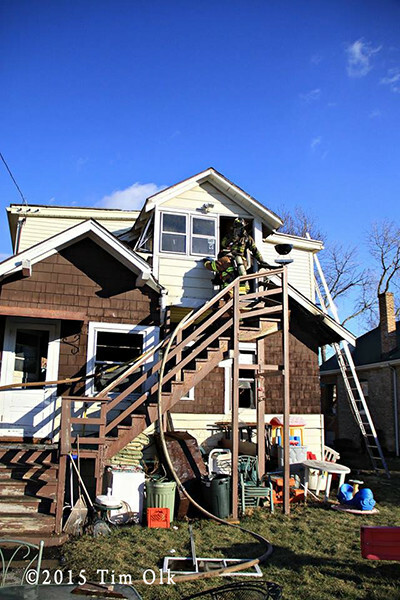 Box Alarm for the house fire at 3828 Grove Avenue in Berwyn (IL) Sunday, 1/18/15. 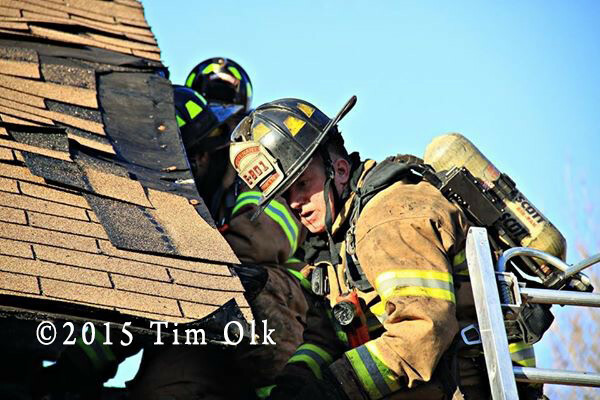 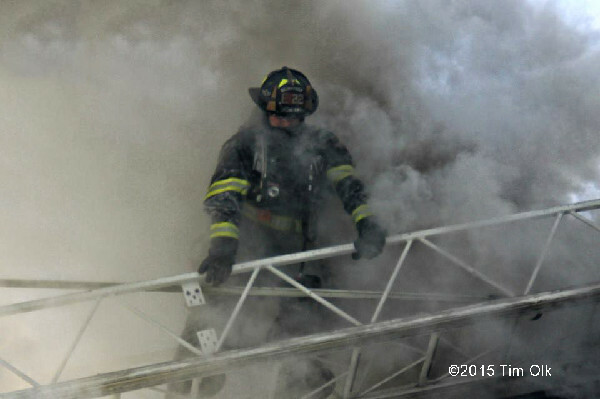 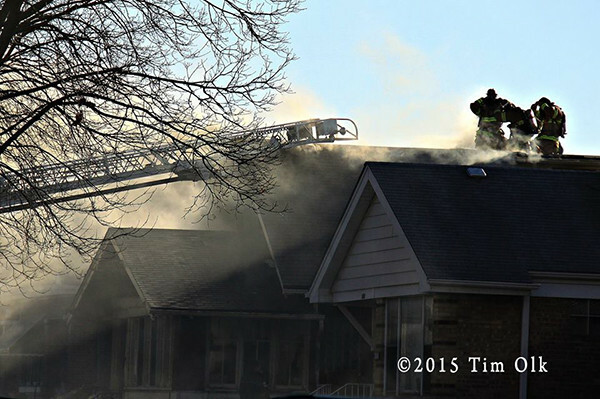 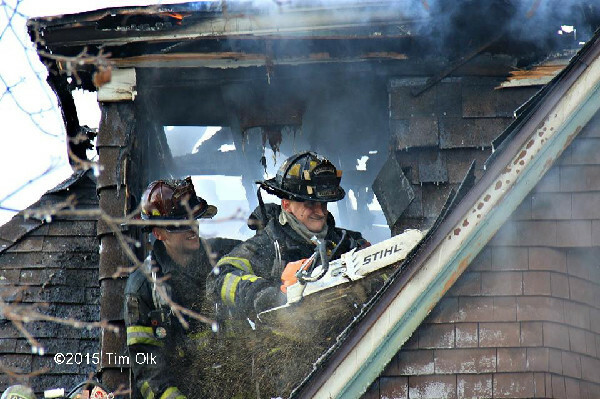 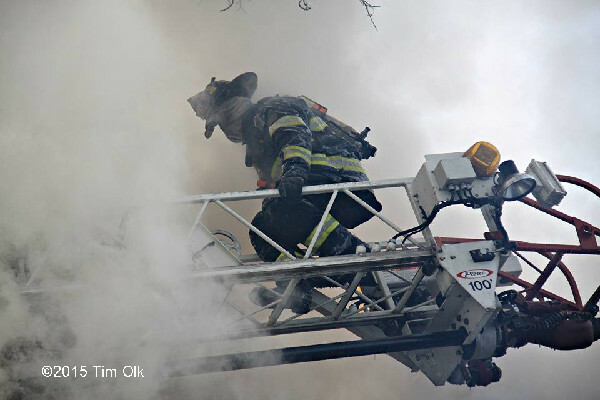 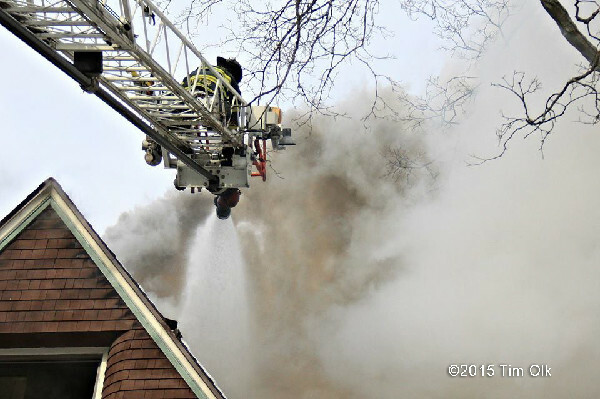 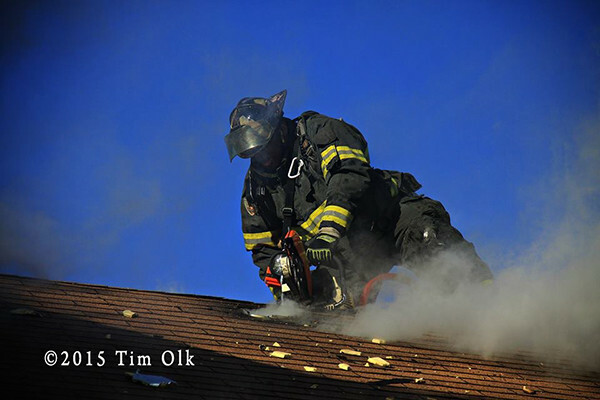 Images from Tim Olk of a 3-Alarm fire (1/9/15) in Evanston, IL at 2519 Harrison. 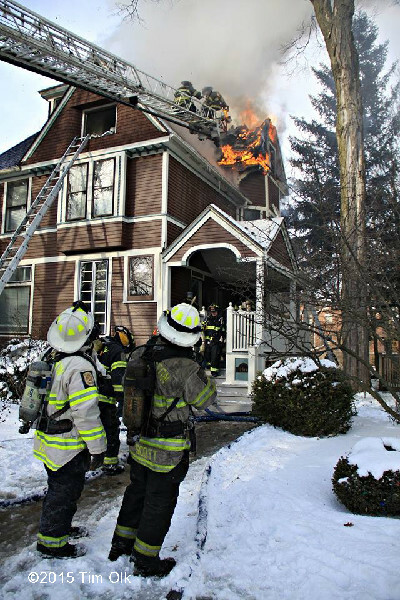 There were workers in the house at the time of the fire. 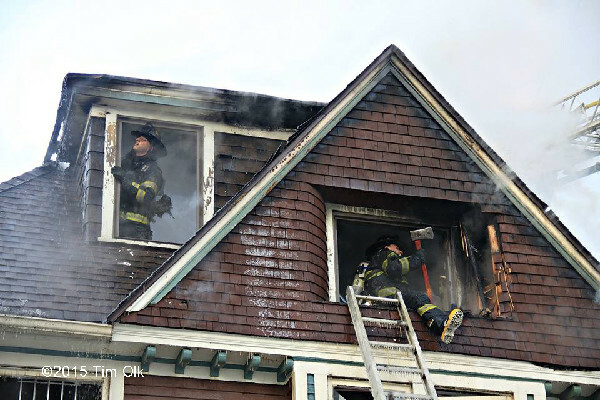 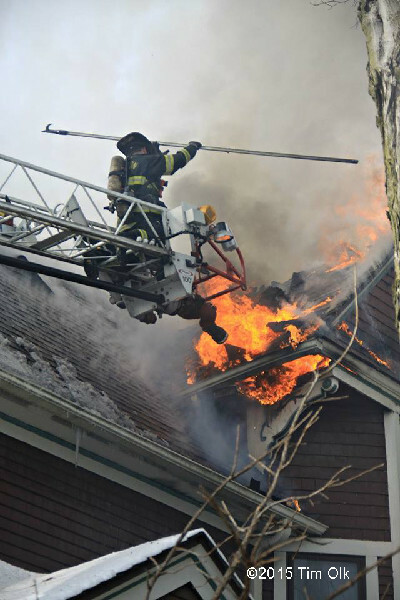 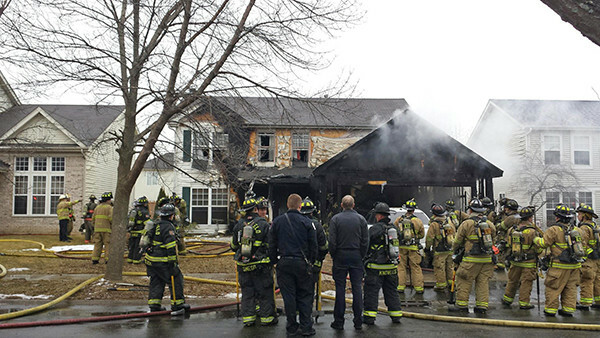 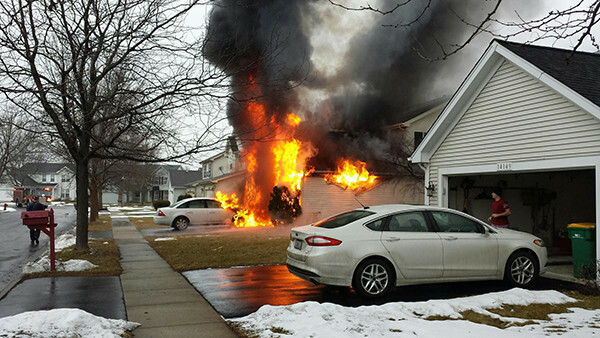 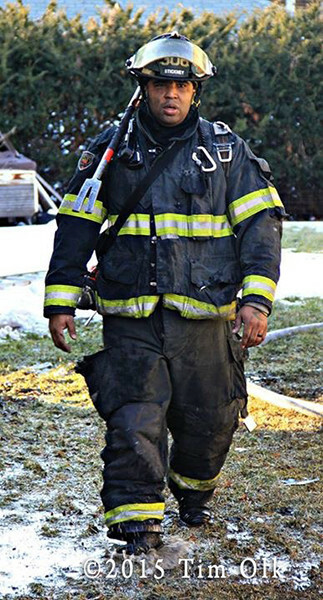 Several hours into the fire, a Mayday Alert was issued for an Evanston firefighter. 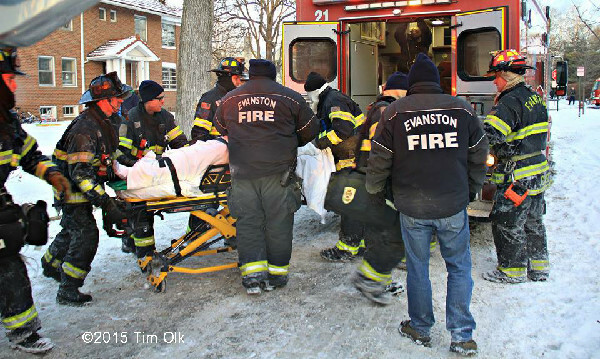 He was recovered quickly and transported to the hospital. 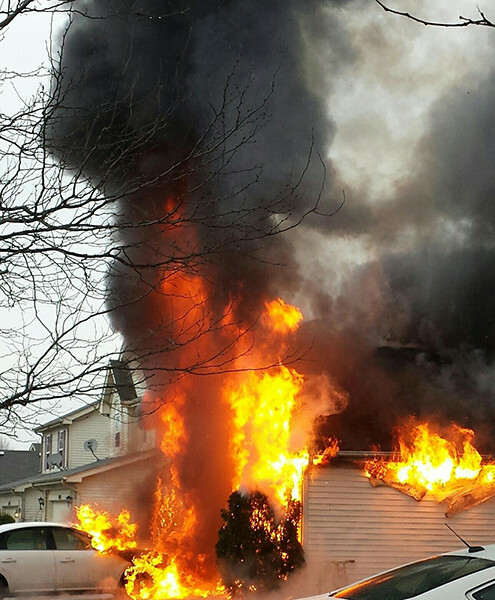 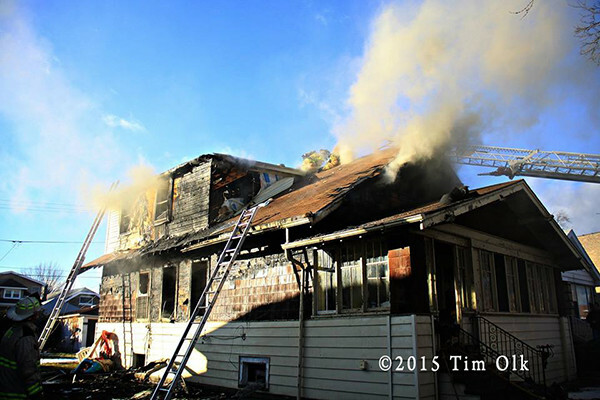 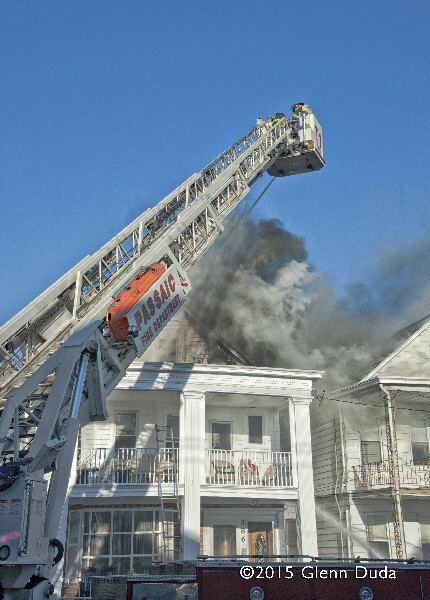 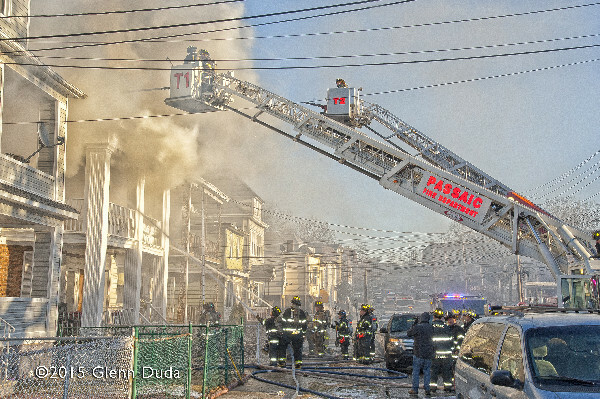 01/12/15 Passaic, NJ – Passaic firefighters battled this stubborn dwelling fire in frigid temperatures Saturday. 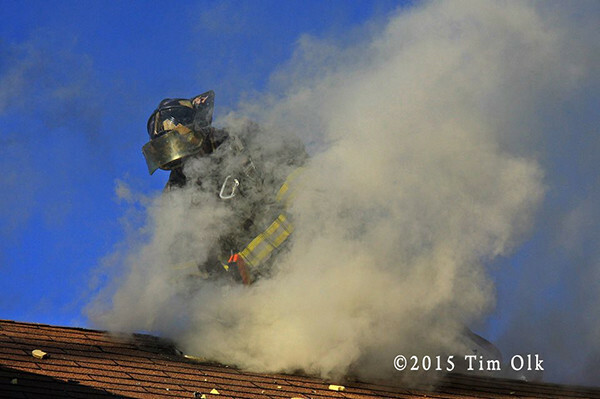 Firefighters battled the fire in the attic unsuccessfully before withdrawing the crews . 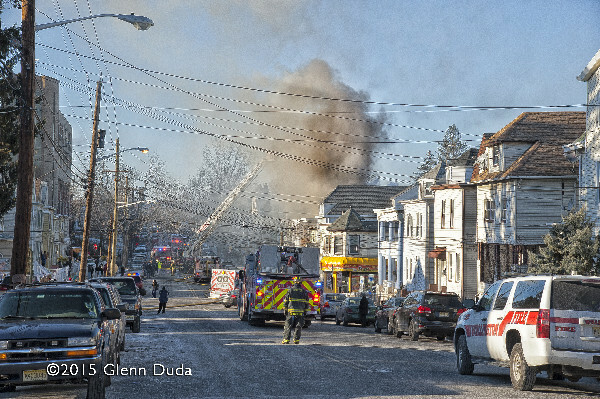 Two additional alarms were transmitted bringing mutual aid to the scene. 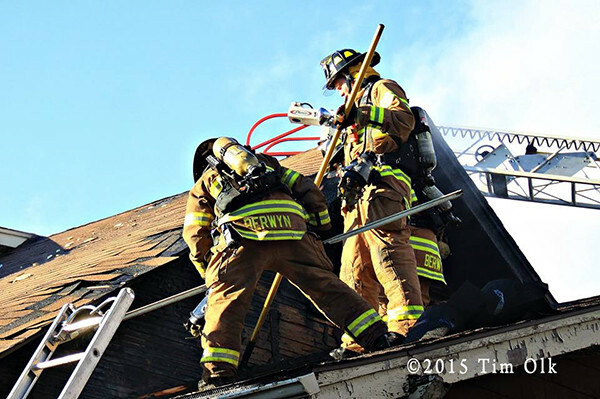 All members were removed from the dwelling for a defensive operation. 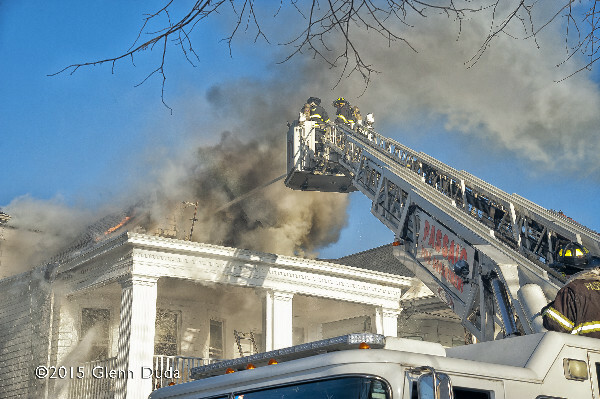 The fire took about an hour to bring under control. 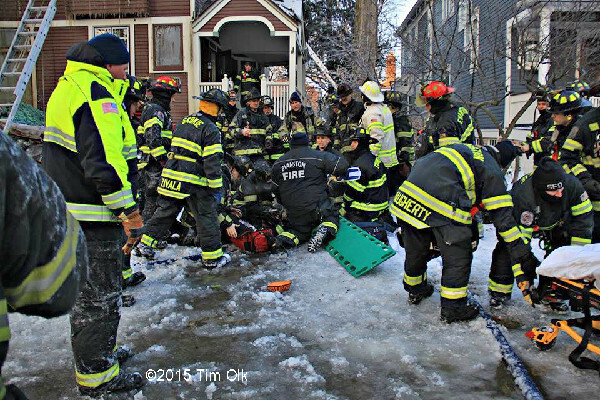 Several members were injured from the icy conditions.